Without knowing it my first introduction to Bengali cuisine had happened when I was very young, while gorging happily on sandesh from a Bengali sweet shop in Nagpur, my father’s home town. It’s only later I realized just how integral this wonderful sweet is to Bengali cuisine and culture. 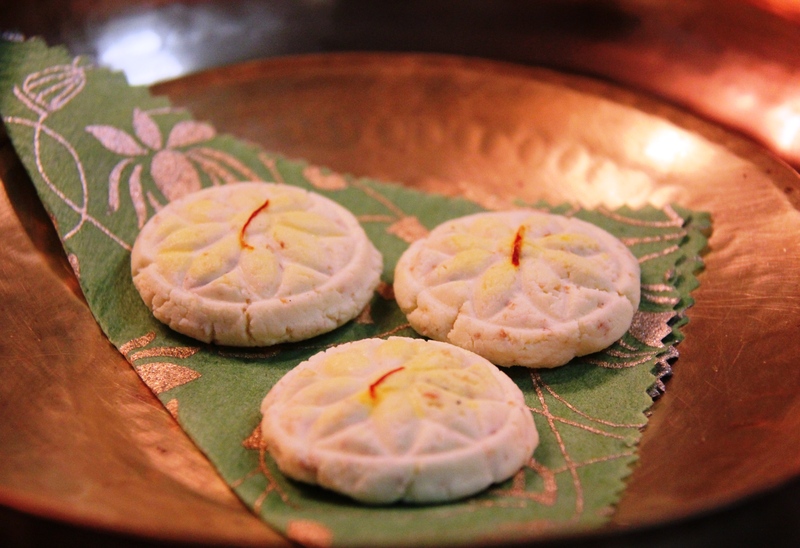 Sandesh is a very popular dessert made from cottage cheese and comes in a variety of flavours and shapes. Compared to most other Indian sweets and desserts, it is much lighter to eat – something I greatly appreciate as I get older! But since I had assumed making the sweets at home were difficult, I relied on Bengal Sweets in Bombay for my regular supply of sandesh. Until recently, after living in Singapore for a while and not being able to get them, I decided it’s time to give sandesh a try at home. 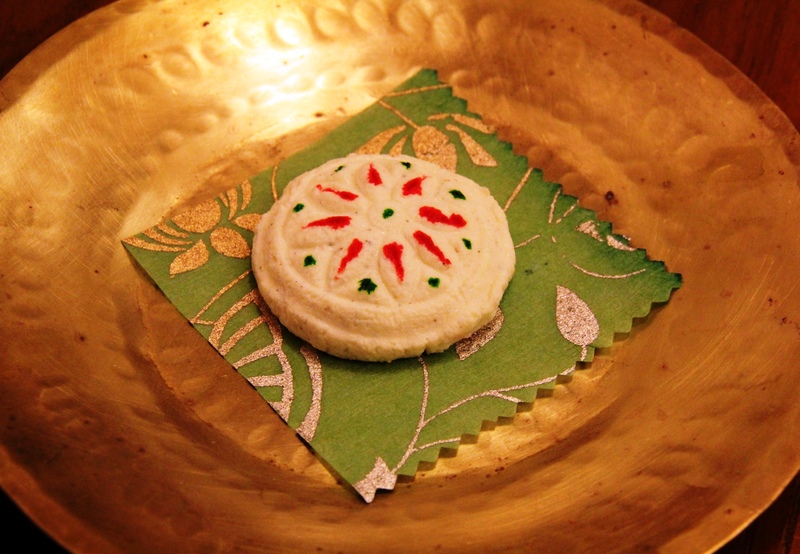 To make sandesh you first need to make chenna or cottage cheese. This is simple and acquired by boiling cow’s milk and curdling it with lemon juice. You then strain the mixture to separate the cheese from the whey. This cheese which has not been shaped is apparently called makha sandesh. If you mix simple flavours like cardamom powder, rose water and sugar and then shape it you would get one type of sandesh called kanchagolla. If you cook the mixture over low heat for a short time, you get naram pak. This is not as soft as makha sandesh but can still be molded. Cooking it longer will give you karak pak, which I haven’t tried making yet. Next try – different flavours and my favourite variety, ice cream sandesh. 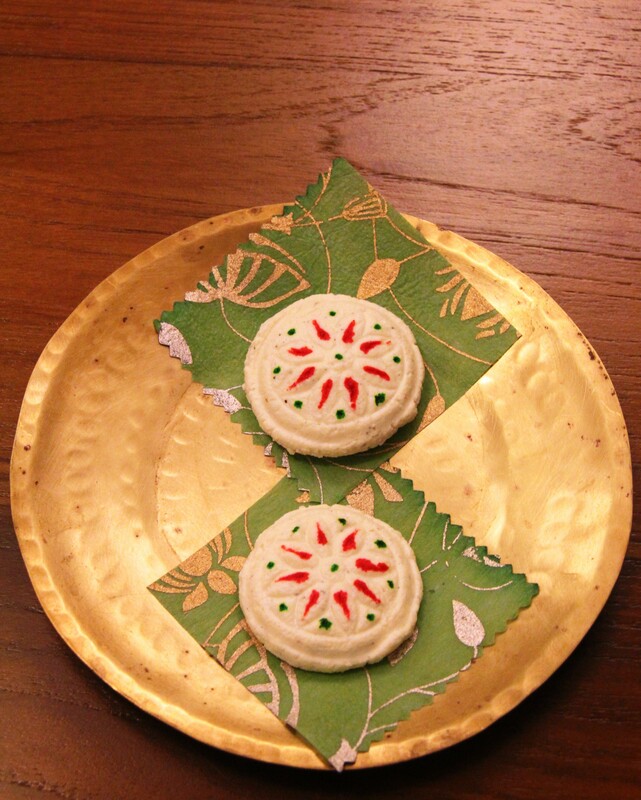 This entry was posted in Bengali cuisine and tagged dessert, sandesh. Bookmark the permalink.